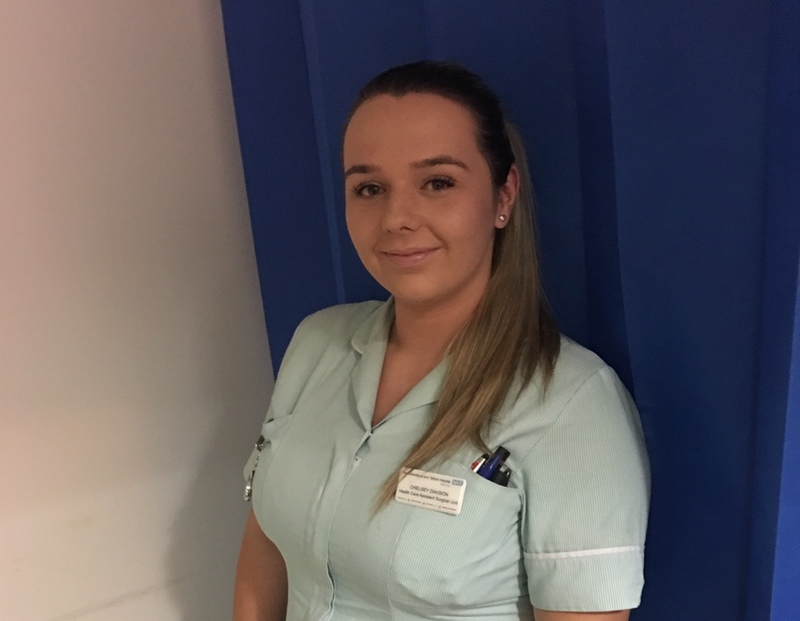 This week our Faces of SaTH is Chelsey Davison, who is a Healthcare Assistant with us on the Surgical Assessment Unit at our Royal Shrewsbury Hospital. We asked her a few questions about her role.. In July 2016 I started at SaTH on The Surgical Assessment Unit. It was a big career change for me as I had always worked in retail. 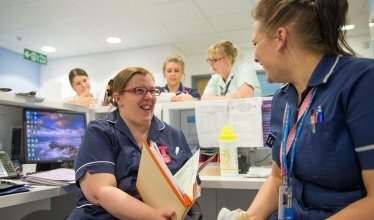 However, as soon as I started I knew I loved it and couldn’t see myself doing anything else apart from progressing hopefully to a Registered Nurse. I’ve undertaken more training in order for me to be able to cannulate and take bloods from patients as the ward is always so busy. Coming onto shift, we take handovers for the patients already admitted onto the Ward. Alongside this, we have patients being admitted through Shrop Doc, GP Referrals and A&E, as well as having scheduled patients coming into our clinic. I will do patient’s observations on arrival; heart rate, blood pressure, temperature, respiratory rate, oxygen saturation, a routine MRSA swab, blood sugars, cannulate and take blood from patients if needed. My favourite parts of my job are meeting new people and the fact that no day is ever the same. I enjoy helping patients, as well as their family members. I love the fact that I can make a difference to someone. I also really enjoy working with a great team on my Ward – which I feel we have. Working full time, as well as completing the Access To Higher Education In Health Course to get me into University, alongside having my son. Being offered places in different universities last year to do a degree In Adult Nursing was also great – however my studies are currently on hold. I spend my time out of work socialising with my son and friends with our children. I like to go on walks and spend time with my family.